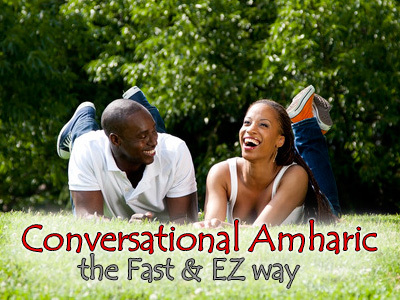 The EZ Way is for those that want to learn Amharic the quick and fast way. You will learn important and often used Amharic phrases that are used in day-to-day activities. The program covers various scenarios where you will need conversational Amharic, and multiple fun games and quizzes to help reinforce the lessons. There are also audio CDs that will help you learn when you are not at your computer. Amharic The EZ Way is available for one-time online purchase, or it can be subscribed for online access from anywhere and any device with internet access (computer, i-pad, android tablet, phone, etc). The subscription method has forums and members area where students from all over the world can congregate to learn from one another.